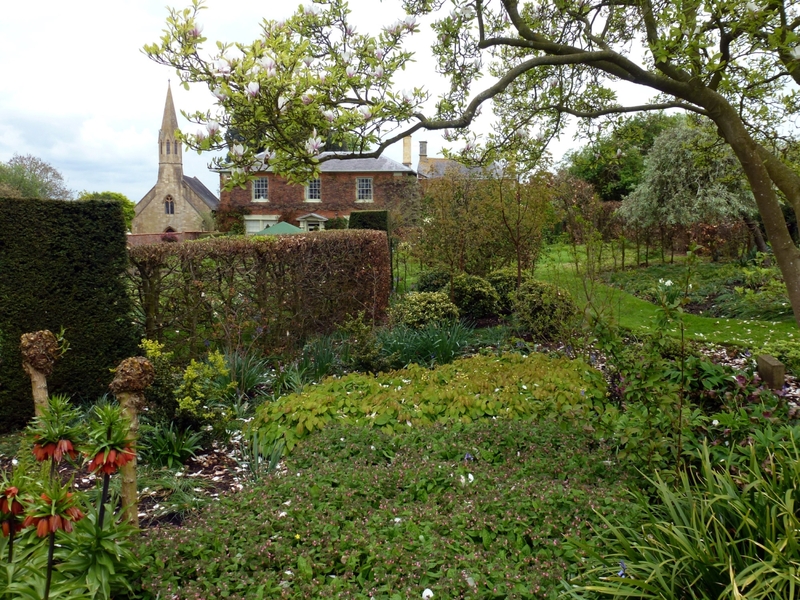 4 acre garden with yr-round interest and colour. Extensive and varied spring bulbs and garden of winter interest. 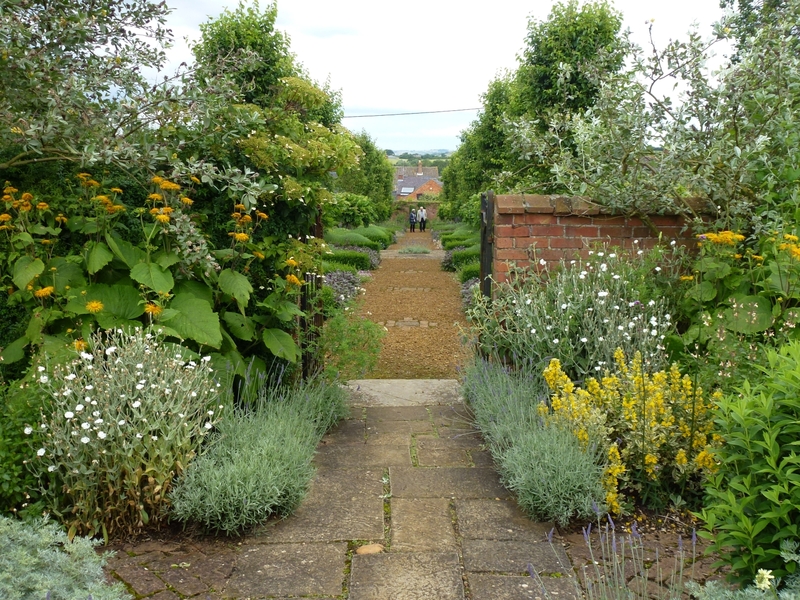 Herbaceous borders, spring beds, fernery, recently redesigned and restored walled kitchen garden. Rose garden, pond area and paddocks established with wild flowers. Stretton-on-Fosse is a charming stone village at the North edge of the Cotswolds. The Court House lies at the heart of the village, next door to the church. Here in the south of the county the soil is greensand rather than Warwickshire clay. The original section of the house dates from the 17th century but the main part is late Georgian. This account was written after a visit during the spring opening. 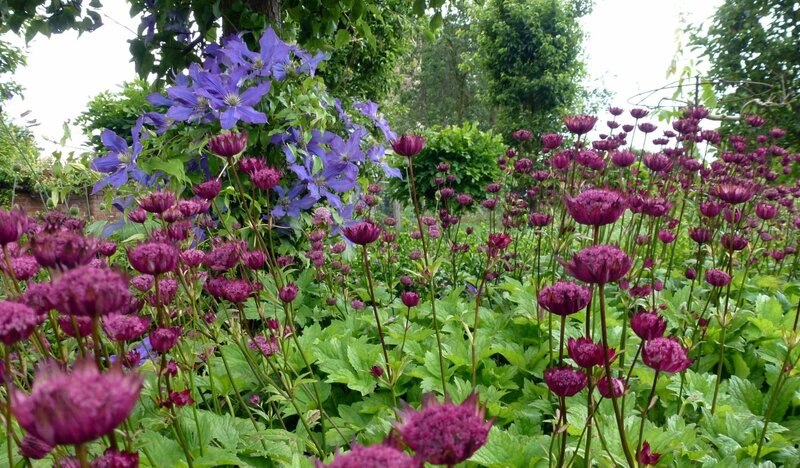 The range of planting is wide and is designed to achieve year-round interest. 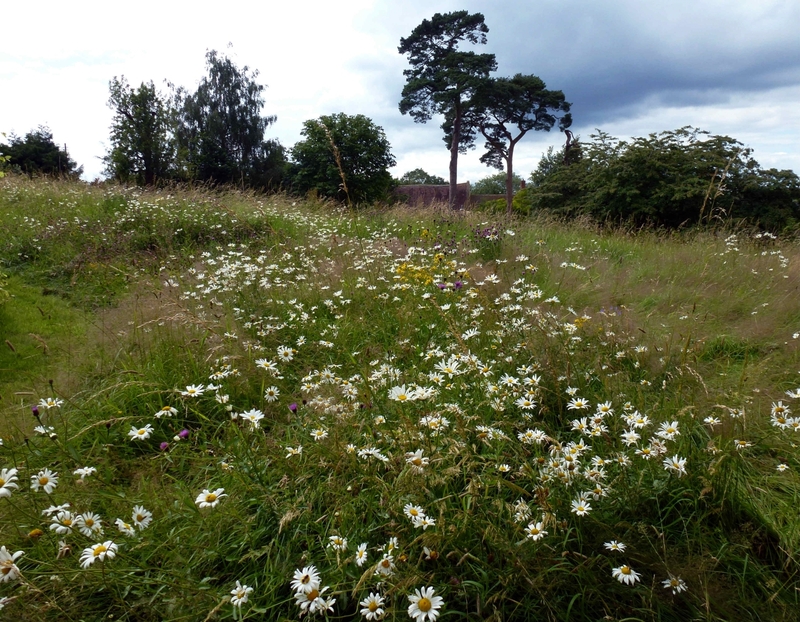 In some areas the effect is fully mature but in others we see more recently planted woody shrubs and trees as well as established herbaceous areas. The first moment of interest in the garden is for snowdrops. It then reaches an early season high in April, when this description was written. Woodland plants, bulbs and tree blossom look their best at this time. A different high point follows later in the season when the trees and shrubs are in full leaf and the herbaceous areas are blooming. 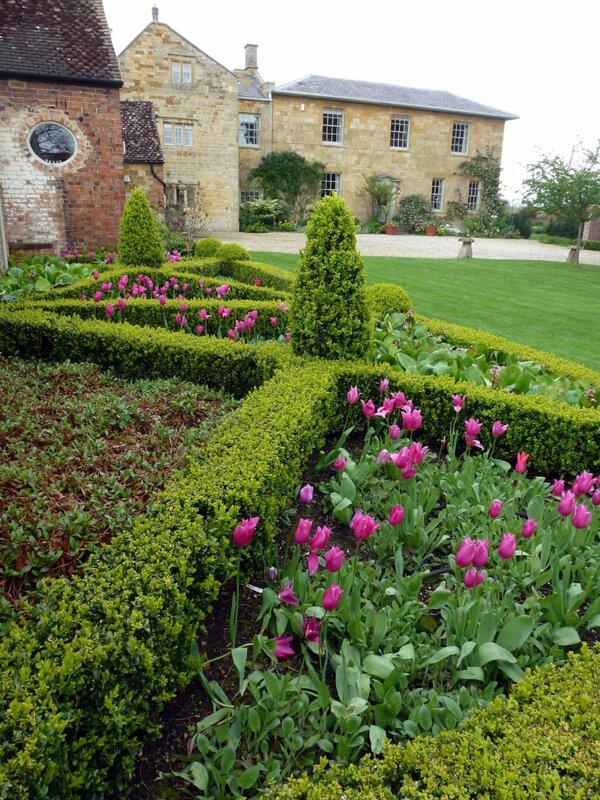 Topiary is a prominent feature, as are clipped balls of box and carefully tended hedging. Witty touches abound, for example the wooden snails that unexpectedly appear on the occasional tree. 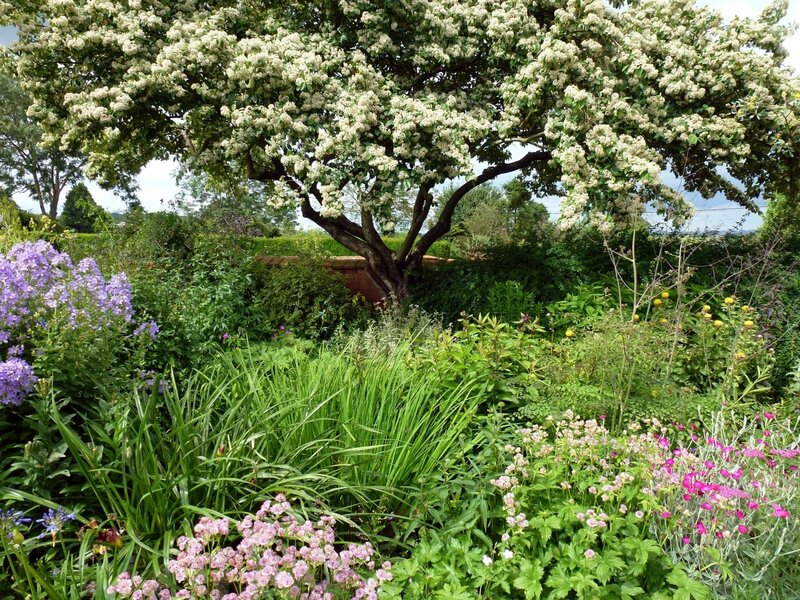 Pruning and training is also effective, as shown in plants like Wisteria and Photinia which are normally grown in a looser form rather than as standards. Last but not least the garden is maintained very well indeed. Entering the short drive one passes swathes of anemones on the left and, on the right, an impressive holm oak. The yellow-flowered Magnolia ‘Yellow River’ hides behind. Immediately in front of the house are well-tended shrubs of which Osmanthus delavayi and Viburnum x burkwoodii offer colour in spring. In summer they are followed by Solanum and Actinidia. Clipped box is in evidence, here and elsewhere. The rose garden beyond has spring interest through tulips and shrubs like the white Amelanchier. Nearby the spacious wooden greenhouse reveals many treasures, both succulents and tender plants protected for the winter. In the fern garden the emerging ferns were just emerging in a fresh green, intermingled with different woodlanders such as Heuchera, Trillium and Cyclamen. The orchard and hen run has a much more open character, with a splendid wooden chicken house at its centre. A mature wild cherry flowers profusely in white. Also white is a group of three young Himalayan birch. A hedge of pleached hornbeam runs along the boundary wall. The apple trees vary in age and include several which are old. Fortunately they are helpfully labeled – ‘Ellison’s Orange’ 1904, ‘Allington Pippin’ 1884, and so on. In summer the trees do battle with the fearsome climbing rose ‘Parkdirektor Riggers’, an encounter which seems to do them no harm. Approaching the house one passes a sunken, paved area – a sun-trap in the right conditions and also sheltered in bad conditions. The wall is adorned with the vigorous red-flowered gooseberry Ribes speciosa, which has a long flowering season. The seating area is surrounded by pots with plants that relish this situation, including hibiscus, New Zealand flax and a bottlebrush from Australia. The rear side of the house fronts a wide lawn at two levels. On the house itself is a large Wisteria and also three roses – ‘Mermaid’ (at the side), ‘Constance Spry’ and the rare and tricky ‘Blairi no. 2’. Here too are large specimens of Euphorbia wulfenii. The lawn is divided into two levels by semi-circular ha-ha wall. Beneath this is dense herbaceous planting in which hellebores are prominent together with elephant’s ears and Euphorbia griffithii. On the north side of this area is a relatively high yew hedge topped by a fox and four hounds giving chase. Below them another fox slinks away quietly. There are mature trees at intervals in the lawn or near it. The largest is a mature Spanish oak. An Indian bean tree and are mulberry are also prominent. In a quieter spot are two young Cornus ‘Eddie’s White Wonder’. The more recently planted Winter Garden shows yet another planting style. Here and elsewhere a number of items are represented in small groups, for example the paper-bark maple Acer griseum and, again, Himalayan birch. There is a fine specimen of the Tibetan cherry Prunus serrula, a must-touch tree if every there was one. Low pollarded Salix britzensis stand ready to burst into growth. The crown imperial fritillary is a feature here and elsewhere in various colours. At the far end of the garden is the wild flower paddock, with colour from cowslips and snakeshead fritillaries in particular. Two Holm oaks stand at the edge. On the north side is of the house a quiet and shaded area with Mahonia x media ‘Lionel Fortescue’. 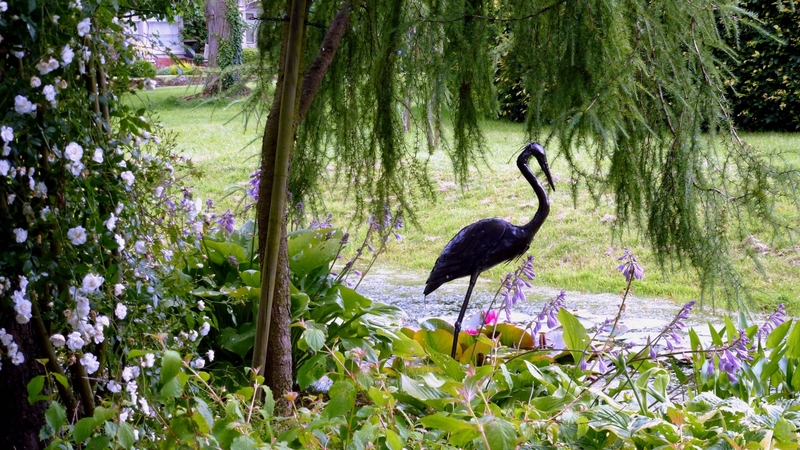 Little does the visitor suspect what lies beyond in the large kitchen garden. This is laid out formally. A stone walkway leads towards a topiary hen in the distance and is defined by lines of ‘Chanticleer’ pear. 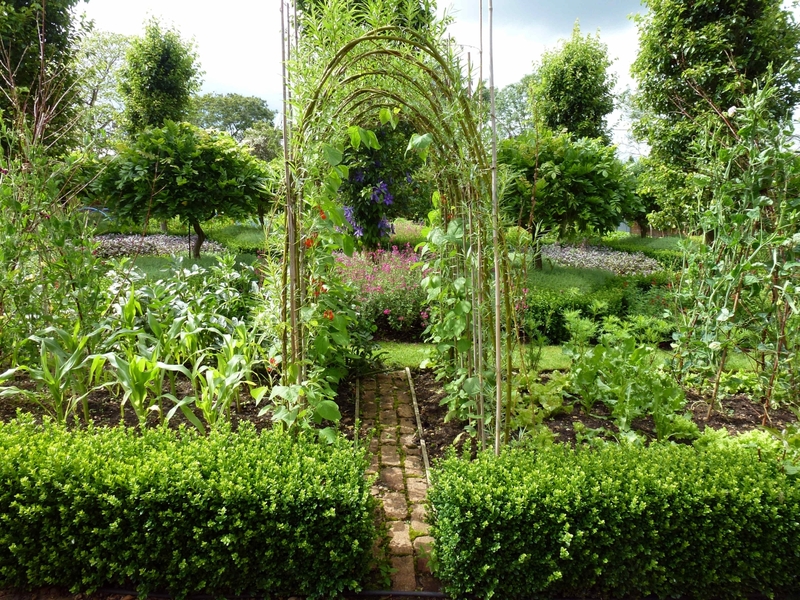 On either side are small diamond-shaped beds, defined by clipped box in which are set contorted self-supporting wisteria. Beyond them is the area for vegetable growing and beyond that are brick walls with espalier pears, mostly ‘Conference’. In spring the pears bloom profusely. The whole effect is impressive and a tribute to the work that obviously goes into it. 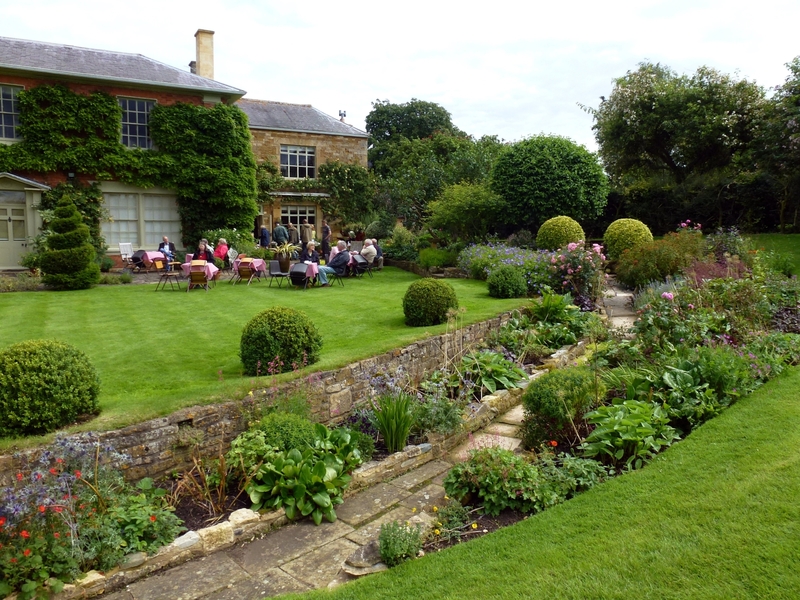 All in all a thoroughly English garden in a traditional English setting, with added touches showing a real interest in plants. Featured in Cotswold Life magazine. Off A429 between Moreton-in-Marsh & Shipston-on-Stour. Located in centre of village, next to the church. Wheelchair access is not impossible, but difficult with a gravel drive.